CrackCoin is a new crypto currency project that has had plenty of attention from the community. 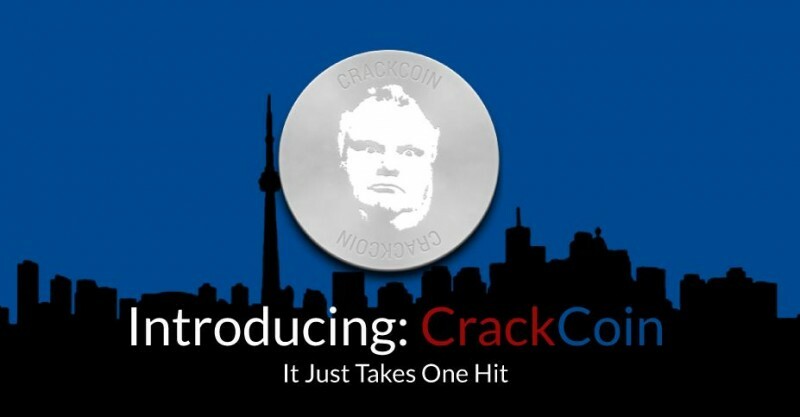 The recent escapades of a Toronto’s Mayor involved in a scandal with Crack were the inspiration for the Team to choose the crypto currency name; this was the way the Team found to “to give tribute” to the infamous Mayor. 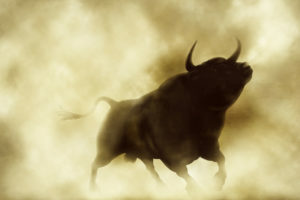 Even though the currency name has been chosen with a sense of parody, this project has everything to succeed. Now, fully launched and in its 100% PoS phase, CrackCoin is already being traded throughout many exchanges. 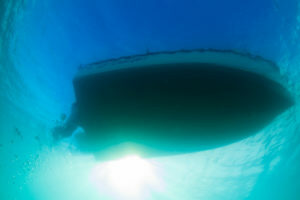 Can you start by giving a brief presentation of your project? We have a mid size development team behind CrackCoin. We’ve been following the crypto scene for almost 2 years but not until recently did we decide to create CrackCoin. We have two main points that set CrackCoin apart from every other crypto currency. 1) Our Toronto airdrop. 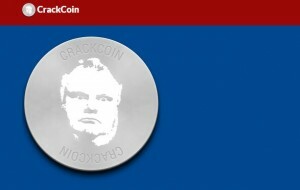 For citizens of Toronto, there’s 250 FREE CrackCoins waiting for you to claim. We figured after all the negative press Toronto has been getting lately it’s a nice way to give back to the citizens of Toronto. 2) Our 100% native Android App. We are (as far as we know) the ONLY coin on the bittrex exchange with a 100% functioning NATIVE java android app. 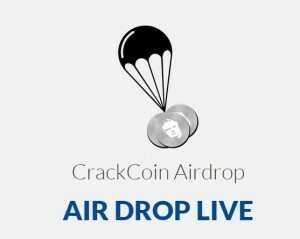 From the app, users are able to send and receive CrackCoin, view transactions, monitor confirms, receive their AirDrop coins. Another AWESOME feature of the app, is you don`t need to use wallet IDs. 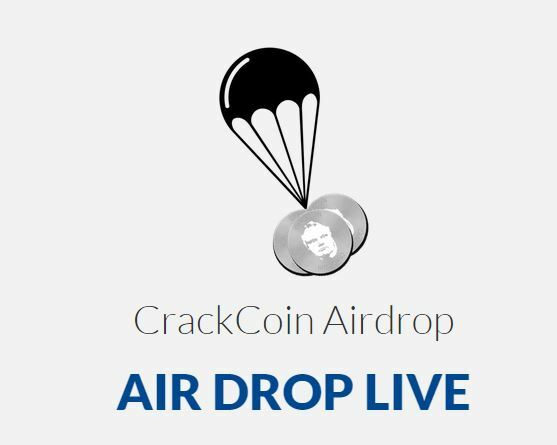 Users have the option to either send to a CrackCoin wallet ID, OR send CrackCoin via app username. Can you explain more about these AirDrop coins? The airdrop is a campaign we`re running in Toronto (for now). When a Toronto citizen would like to claim their free 250 CrackCoins, they simply go to http://crackco.in, enter their phone number, and an SMS will be sent to them containing a code. They are then prompted to enter the code and their wallet ID. Upon successfully entering both, the coins will be sent to their wallet! Does Crackcoin have anymore special features? Please explain us about the mining period POW and how the CrackCoin POS staking works. CrackCoin is a PoW and PoS 2.0 hybrid with a 6 million coin supply and 1-3% interest with variable staking interest. We launched on September 8 and by September 15, PoW was finished; Now we are 100% in PoS mode. 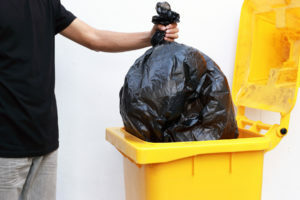 It’s Pos 2.0, which is Proof of Stake, whereby your coins are used to stake on the network and process transactions rather than the energy inefficient “PoW” process; we’re using Blackcoin’s PoS 2.0 because of how successful it was for BC and the code is rock solid. But people shouldn’t feel like they missed out, because CrackCoin is trading to bittrex, Ccex, Lazycoins, and coin-swap! Are you planning to introduce some new features? Yes, we’re also working on something which is extremely top secret right now, but let’s just say, it will be one of a kind in the crypto currency industry. No other coin has even attempted to do this. You can refer to this project as “Project Snow” for now. I can’t reveal any more than that, other than it will be being released in a few weeks or so. We have big plans for CrackCoin, and very talented/hardworking developers behind it. We don’t want to tread the same path as every other Coin, but instead forge our own path and become leaders in the crypto industry. We’re going to be releasing a roadmap in a couple days which will layout the future of CrackCoin and the features we plan on creating. So I guess we should stay tuned because you guys are going to introduce some pretty cool stuff! One last question, what are your expectations for Crackcoin, and what’s your vision about the future of digital currencies? We, the CrackCoin team, expect that in the near future, CrackCoin will be held in the utmost high regard, and recognized as an industry leader not only in features, but also in creativity. We’ve been following digital currencies for a few years now and believe it’s a fantastic step forward in society. Personal security, instant transfer of funds to any country in the world, the list goes on and on. The pros greatly outweigh the cons when it comes to digital currencies. We hope to see more stores around the world start accepting digital currencies and believe it’s the way of the future.